I’m always crushing on something scented or other. My nose knows no limits. Candy Crush is where I showcase the beautifully scented things I’m crushing on right now so you can hopefully develop a crush too. 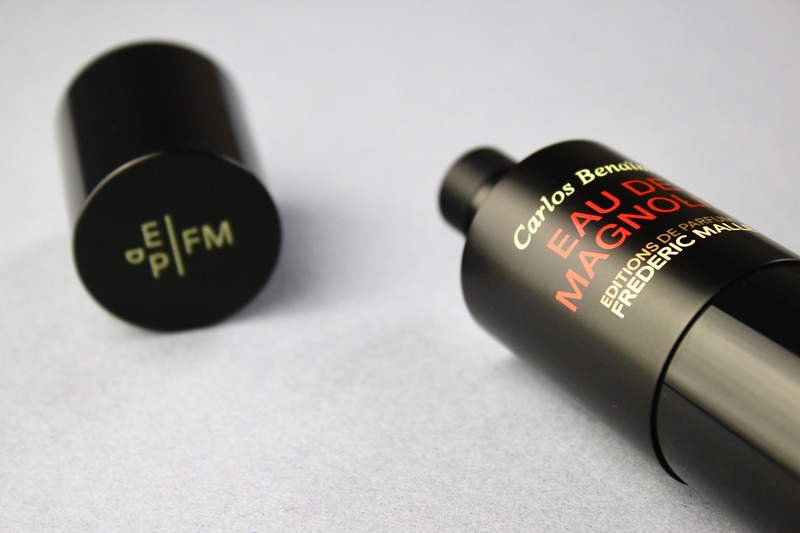 I love Editions de Parfums Frederic Malle. It is, hands down, one of my favourite fragrance brands and I’ve said many times before that it’s one of those rare cases where I would happily own every single fragrance in the collection. Honestly, there isn’t a single dud in the entire line and that too, is quite rare. Malle has curated a fine collection of scents – perfumes created by the greatest perfumers and presented without fuss, allowing the fragrances to speak for themselves. They are some of the best, if not the very best perfumes on the market – fact. I’ve think I’ve hammered the point home, haven’t I? If I haven’t, let me summarise: Editions de Parfums Frederic Malle is amazing. The end. If we are being entirely honest with ourselves, we will admit that whilst lovely, Malle fragrances are somewhat pricey. That said, unlike many niche brands where the price seems to be dictated by a perceived sense of luxury rather than a reflection of quality, I would argue that the Malle offerings warrant their price tag – they are high quality, artistic fragrances that smell absolutely beautiful and are packed with top notch materials (see the overdoses of tuberose, vetiver, and patchouli in fragrances such as Carnal Flower, Vetiver Extraordinaire, and Monsieur. for proof). So as much as it may be our goal to own every single Malle fragrance in the collection, we may have to save our pennies for quite some time to do so! Well, the good news is that our goal may have just got a little bit easier because Editions de Parfums Frederic Malle have just launched a new 30ml size for an entire bunch of their fragrances. Housed within a sleek black tube made from high-shine polyethelene plastic, with a matte anodised metal centre and a magnetic cap (anyone else LOVE a magnetic cap?! ), the 30ml sprays are discrete and hardy enough to be chucked in a bag for travel, but handsome enough to be put on full display in one’s collection. Speaking as someone who has a lot of perfume and who may not need 100ml or even 50ml of something, a beautifully packaged 30ml size is the stuff of dreams. 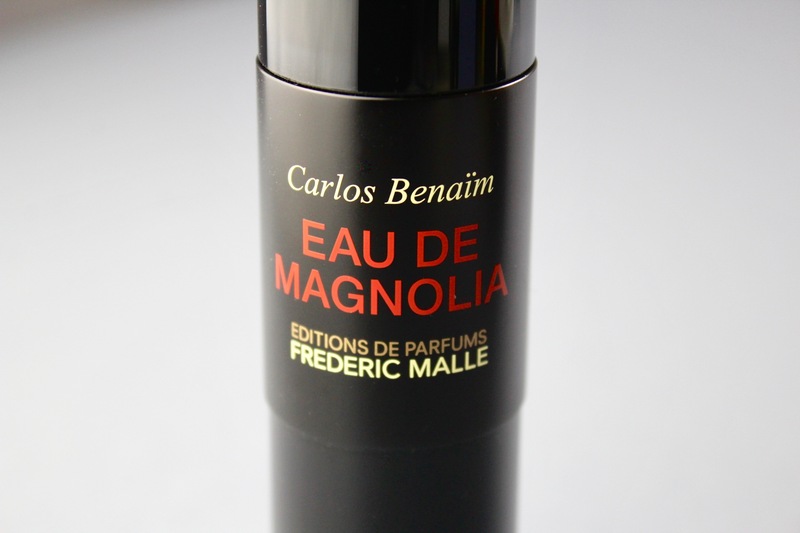 From the collection, I was sent the Carlos Benaïm-penned Eau de Magnolia, which is somewhat jammy because it’s easily one of my favourite Malle scents. I’m going away in May (to Tokyo, Kyoto, and Shanghai – gah, I’m excited!) 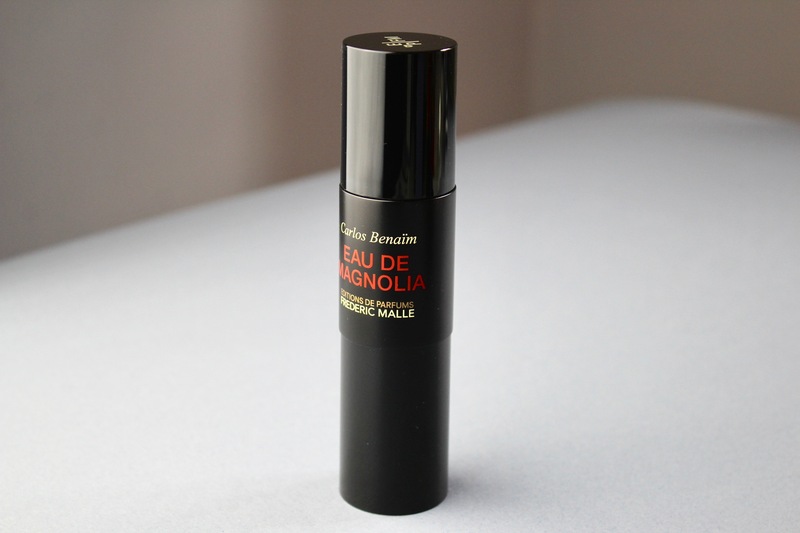 and my 30ml spray of Eau de Magnolia is going to be the perfect thing to take away with me. I can imagine the crisp, citrus-inflected florals of Eau de Magnolia, which bridge the gap between chypre and cologne with its sharp mosses and breezy musks, absolutely signing in the Japanese/Chinese climate. Now I can ensure some safely-packed and wonderfully-scented Malle goodness in my luggage! Consider this a candy crush – these are beautifully packaged sprays in a handy size and whether you want one for travel, or just because you only want a small amount of a fragrance, well, then they are absolutely perfect! 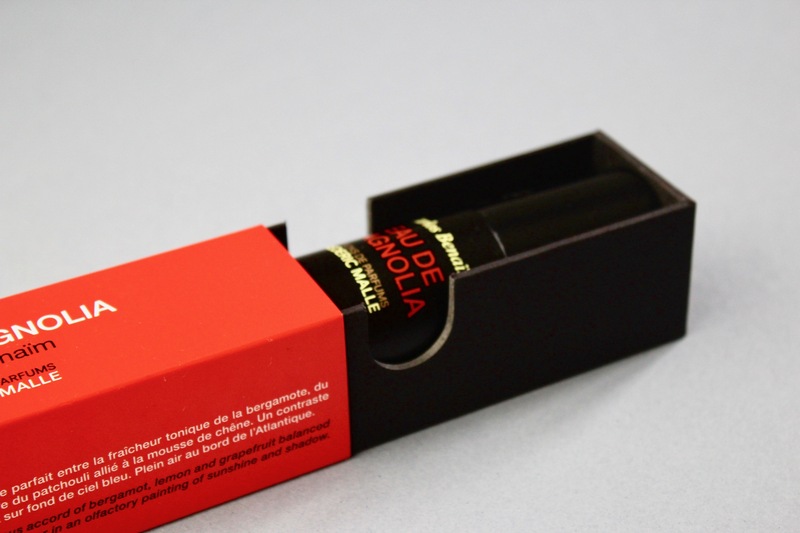 Sample (pictured) sent by Editions de Parfums Frederic Malle for consideration. I was not paid for this review and Editions de Parfums Frederic Malle had no input in the contents of this article. Notes and quotes via Editions de Parfums Frederic Malle. Images are my own. Posted in Candy Crush, Editions de Parfumes Frederic Malle and tagged 30ml, Art, Beauty, Candy Crush, Carlos Benaïm, Cologne, Eau de Magnolia, Eau de Parfum, Eau de Toilette, Editions de Parfums Frederic Malle, Fragrance, Frederic Malle, Grooming, Parfum, Perfume, Review, Scent, Travel. Bookmark the permalink. I have Iris Poudre in this format. While I like the bottle itself, I have an issue with the packaging: the inner box slides out too easily. Were it not for quick reflexes, my bottle would have landed hard.